Though the Arc was promised to land in consumers' hands sometime in Q1 2011 and no review units have been sent out just yet, the writers from an Italian blog HDBlog.it managed to get their hands on both the Misty Silver and Midnight Blue models and give the hardware and the interface a very thorough walkthrough. If the Arc had a dual-core processor and Gorilla Glass, we'd be all over it like bees on honey, but, alas, it does not. Don't get me wrong - it is very-very snappy, but in 2011, you need Tegra 2 or better to be the top dog. Nevertheless, this upcoming AT&T-bound flagship device is quite a looker and, in my opinion, is truly one of the best upcoming Android handsets. 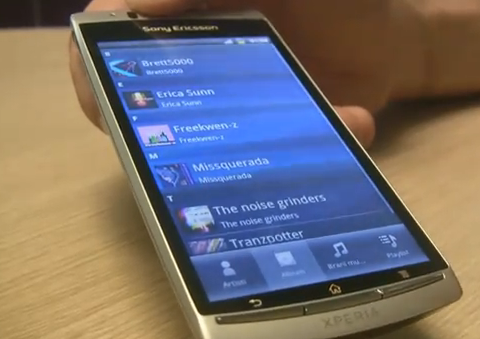 With Sony Ericsson's commitment to less intrusive custom UIs and faster Android upgrades, you bet they've got our attention.